Yes its a Double or Nothing deal this time BNL’ers of the world…. We don’t have 10 tickets for this event, we have 20 (TWENTY)…… Get your free tickets today for the first outdoor event of the summer season. 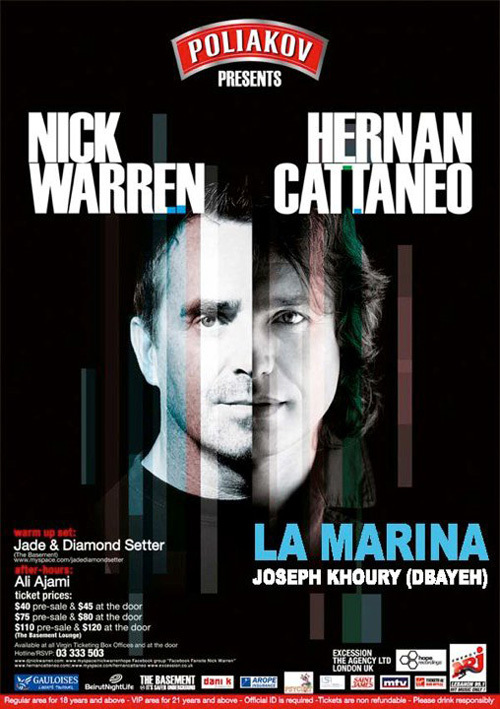 Nick Warren & Hernan Cattaneo historical event at La MARINA Joseph Khoury (Dbayeh). With this first outdoor and indoor venue at La MARINA Joseph Khoury (Dbayeh), the venue will include a huge 15m height tent brought over especially to Lebanon for this historic night and an outdoor set up overlooking the unmatched magical setting by the sea of La MARINA Joseph Khoury (Dbayeh). BeirutNightLife.com is giving away 15 regular tickets and 5 VIP tickets for 20 lucky winners, take part in this competition today so you can witness history making when the two absolute masters of progressive unite for one night at La MARINA Joseph Khoury (Dbayeh). 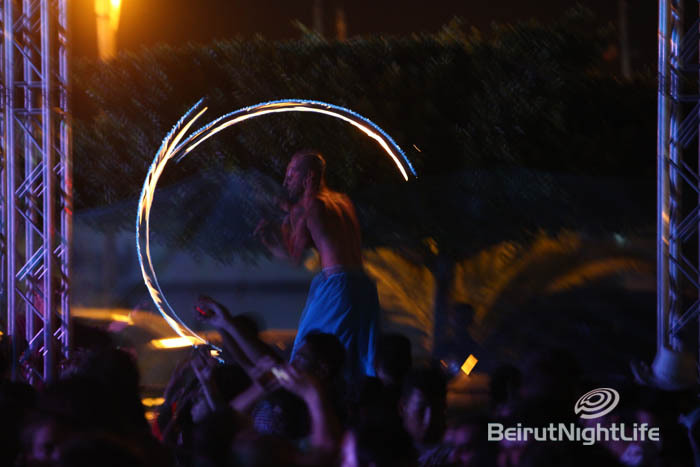 BeirutNightLife has a picture posted at the end of this article, all what you need to do is guess from which event and post your answers in the comment form below. We will be there, and we will witness Pure, Classy & Energetic Progressive House Music…. you can be there as well and for free!!! Logon to www.marcomlux.com for more information, and be the first to be there all night long in the first outdoor event of the summer season, the first time ever two masters of progressive house meet in Lebanon!! Get your free tickets from beirutnightlife by taking part in this competition, the doors for particpating will shut 48 hours before the the masters arrive. BeirutNightLife: The Only way it should be! To be legible to enter the draw, you must be a 18+ year old, member of BeirutNightLife Facebook fan page (facebook.com/BeirutNightLife), and subscribed to our newsletter.